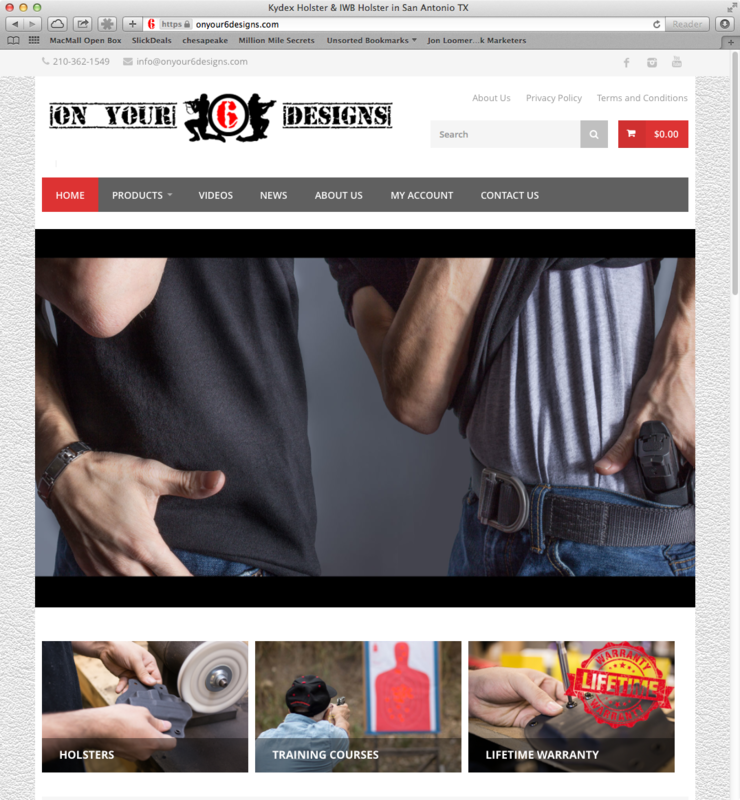 This client needed an easily manageable storefront for his custom-made gun holsters. With the backbone of WooCommerce and WordPress, we developed a unique-looking, responsive site that will look great in any browser of any width. This site utilizes custom CSS and typekits that allow the client to add new models without creating a new Photoshop image for each manufacturer name. The drop shadow, font, and titles are all created dynamically with PHP and CSS, so there’s no need for messing with Photoshop. After a while, the client wanted a redesign of the website. Another company managed that redesign, but the client was soon unhappy with them, and came back to me as his on-call web developer. I have performed support for many tasks on this site, including hosting the site on my optimized server, creating product swatches for color selection, and adding a dynamically generated notice of his lifetime warranty. I also brainstorm often with this client on ways he can improve his workflow. I connected his e-commerce store to ShipStation, so that printing shipping labels for his 30-50 orders per day was made a bit easier. I have also set up other conversion-increasing measures, such as product coupons for social sharing. I connected the website to Google Analytics and set up all of the necessary e-commerce tracking code early on in the stages of development, so this client has been able to easily track his performance (down to the item name and price) in Google Analytics.